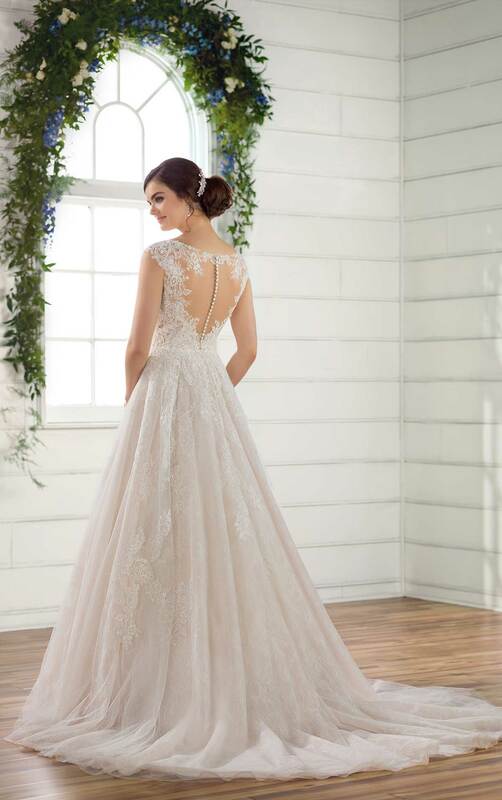 Turn heads and steal the show in this breathtaking lace A-line gown from Essense of Australia. 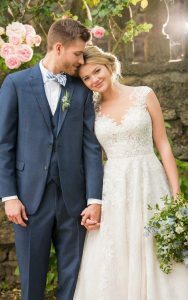 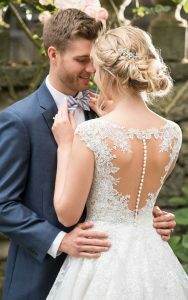 Completely unique and romantic, the organic V-neckline of this wedding dress is highlighted with slight cap sleeves, adding a touch of coverage. 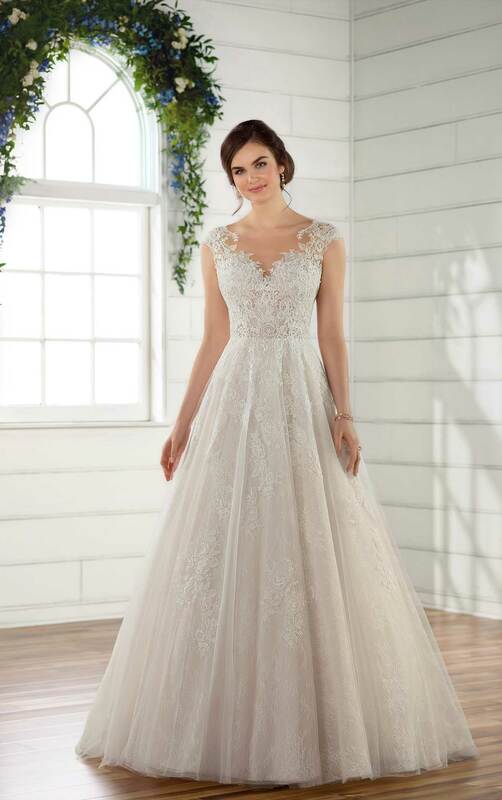 The bodice of this gown features layered lace, giving it a stunning botanical feeling. This, mixed with the laser-cut organza, gives rich dimension to this style. 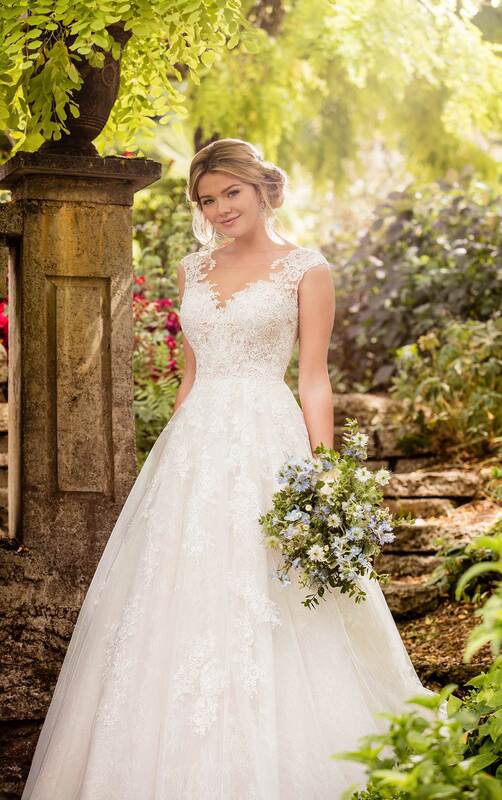 The botanical lace continues down through the tulle and Regency organza skirt, giving the look of bold florals which adds texture to the gown. The back of this wedding dress features a keyhole back, surrounded by organic lace detailing. Fabric-covered buttons run down the middle of the keyhole, adding a touch of sophistication. 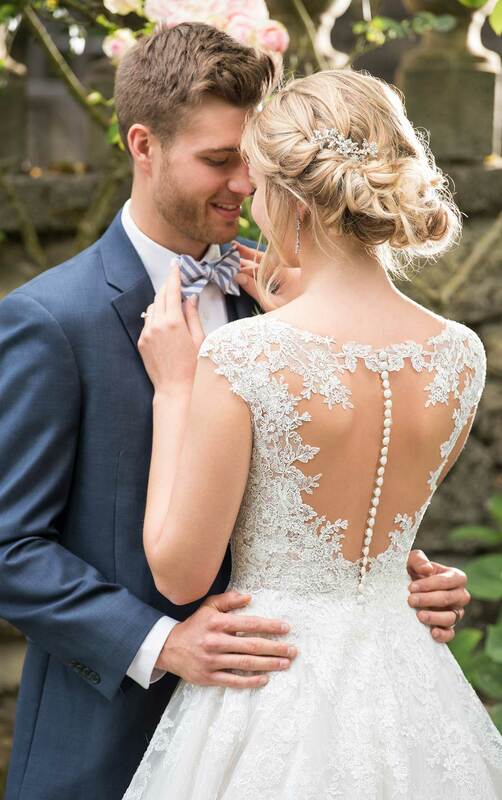 The back of this lace wedding dress zips up beneath fabric-covered buttons.